We are seeing that ASUS Zenfone Max Pro M2 has 6.3 inch FHD+ display with notch on the top and screen aspect ratio of 18.5:9. Interestingly, it has powerful 5000mAh battery, while RealMe 2 Pro has 6.3 inch FHD+ LCD notch display which similar to Max Pro M2 phone of ASUS, but Realme 2 Pro has aspect ratio of 19.5:7 which slightly better. This phone offers waterdrop notch with higher screen space. For those who are not aware, ASUS Zenfone Max Pro M2 is successor of ASUS Zenfone Max Pro M1 which is one of the best selling budget phones. 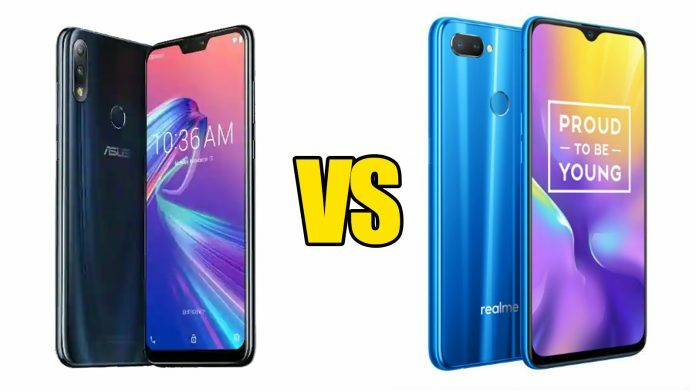 Here, we are comparing ASUS Zenfone Max Pro M2 Vs Realme 2 Pro. Let’s look which phone brands will get the crown for the best budget mid-range phone in India. When we talk about Zenfone Max Pro M2 camera, it has dual rear camera including 13MP primary sensor and 12MP secondary depth sensor. It has also 5MP front facing camera which took impressive selfies. On other hand, Realme 2 Pro comes with dual rear camera setup i.e., 16MP primary and 2MP secondary depth sensor. This phone has fantastic 16MP front facing camera sensor which is able to take powerful picture in day time and night time as well. So, we can say that ASUS Zenfone Max Pro M2 has better camera features on comparison to RealMe 2 Pro phone. Display: Zenfone Max Pro M2 comes with 6.3 inch FHD+ notch display with aspect ratio of 19:9. On other hand, Realme 2 Pro also has similar display features i.e., 6.3 inch FHD+ LCD notch display. But its aspect ratio is 19.5:9. 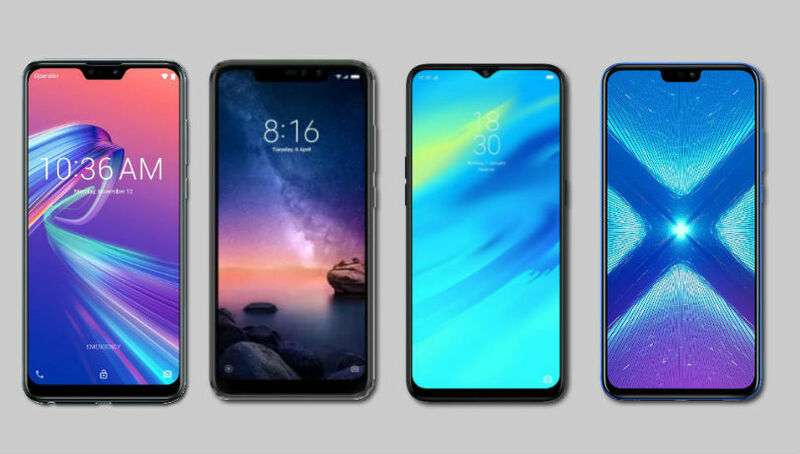 When we are talking to similarity, both phones have thing bezels and full screen displays, but Realme 2 Pro offers higher screen-to-body ratio because of water drop notch. Processor: We are seeing that both the phones have Qualcomm Snapdragon 660 SoC (System-on-Chip) octa-cores which offer impressive performance with multitasking, gaming environments. In this case, both the Smartphone are winner. RAM & storage: Realme 2 Pro is available in India with three variants including 4GB of RAM/64GB of Storage, 6GB of RAM/64GB of Storage and 6GB of RAM/128GB of Storage. While ASUS Zenfone Max Pro M2 is available with two variants including 4GB RAM/64GB Storage and 6GB RAM/64GB Storage. Interestingly, both the phone supports MicroSD cards which will help you to extend memory capacity. Battery: Zenfone Max Pro M2 has powerful 5000mAh battery, while Realme 2 Pro comes with 3500mAh battery. We are seeing that Realme 2 Pro has lower battery capacity than Max Pro M2 phone which can distract Realme fans from its fans and following. On other hand, ASUS Zenfone Max Pro M2 can easily runs for up to days with moderate usage. From the above discussion, we are seeing that Realme 2 Pro has better display with screen space while ASUS Zenfone Max Pro M2 has powerful & larger battery and smoother bloat-free UI with stock Android. Both brands’ phones are powered by Qualcomm Snapdragon 660 processor which means both phones have almost similar performance of CPU. What do you think? 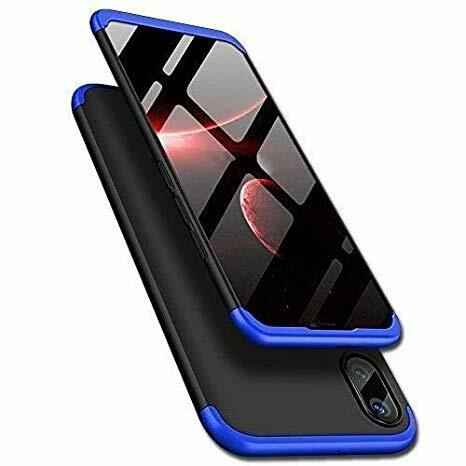 Which is better Smartphone? You can share your thought on the comment box given below. You may also read: ASUS Zenfone Max Pro M2 Vs Redmi Note 6 Pro: Which one is better?